The 2016 Champions Imoco Volley Conegliano will look to repeat as champions after the club won their first league title in team history. 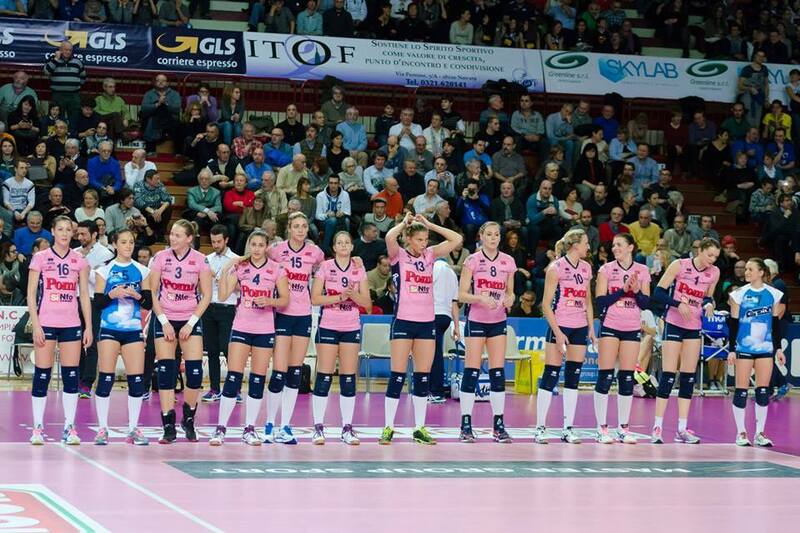 Imoco Volley received Italy’s top prize in just their fourth year of existence after being founded in 2012. This year has the team facing a new challenge with a lot of new players. In particular, three USA women’s national team players have departed the Italian champs. Setter Alisha Glass has put her career on hold, but has not announced a retirement. She has stated that she is time off to spend time with family. Glass was the starting setter for team USA. Also leaving Imoco is Kelsey Robinson who has moved transferred to Chinese club Beijing BAIC Motors and middle blocker Rachel Adams who moved to Turkish giants Eczacibaşi Istanbul. With no immediate replacements, Imoco may struggle to start the season and have to rely on their heavily Italian based side to guide them to a successful season. Pomì Casalmaggiore is another team to look out for. They are the reigning CEV Champions League Champions. With being the Champions of Europe, Pomi is participating in the 2016 FIVB Women’s Club World Championship which takes place in the Philippines beginning October 18th. Pomi will have to do so without one of best volleyball players in history as Francesca Piccinini has switched clubs and moved to Igor Gorgonzola Volley Novara in Italy. Although her departure will be key, the club still has last years best setter in USA’s own Carli Lloyd. Lloyd will look to bring another trophy to Pomi as last years Champions League winners also won the Italian SuperCup in 2015. The 2016-2017 season will see a lot of unpredictable action with many teams facing future uncertainty. Pomi and Imoco are the favorites, but don’t be surprised to see any team at the top of the standings in years time.